Artist illustration of the thick ring of dust that can obscure the energetic processes that occur near the supermassive black hole of an active galactic nuclei. The SOFIA studies suggest that the dust distribution is about 30 percent smaller than previously thought. 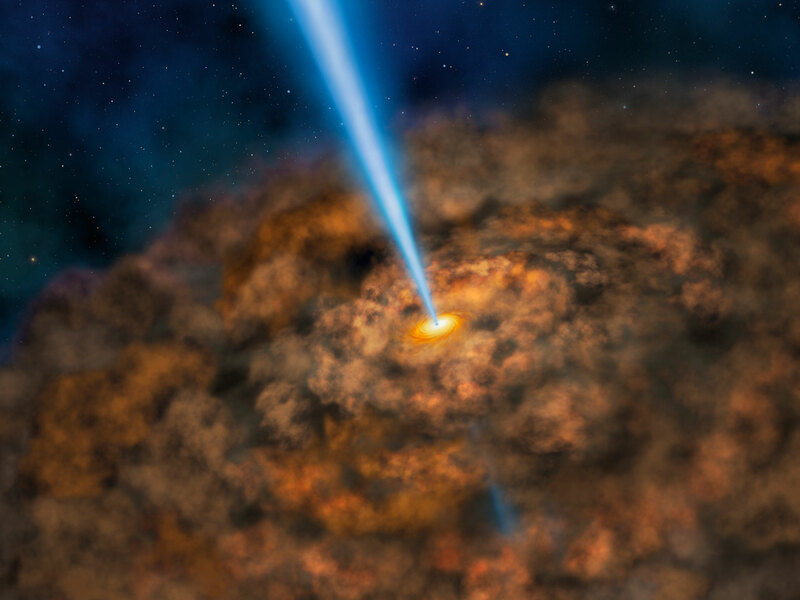 Using observations from NASA’s Stratospheric Observatory for Infrared Astronomy (SOFIA), scientists at the University of Texas San Antonio found that the dust surrounding active, ravenous black holes is much more compact than previously thought. 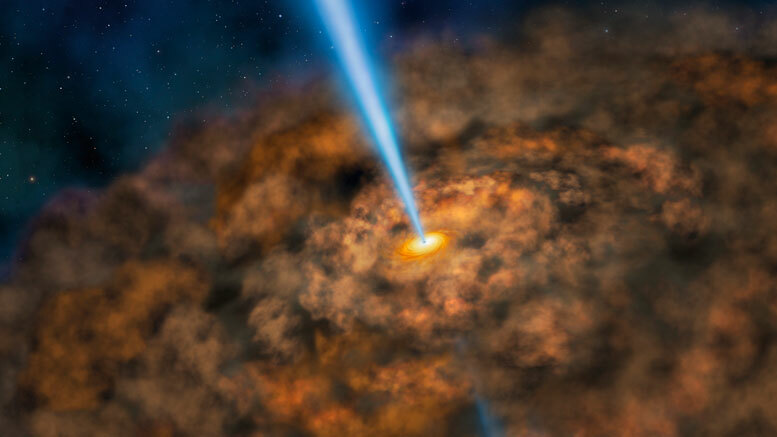 Be the first to comment on "SOFIA Investigates Cool Dust Around Energetic Active Black Holes"